In yet another early morning tweet attack, President Trump turned his guns on Maxine Waters and called a woman with extraordinarily low IQ. Ms Waters however, shared her criticism with Nancy Pelosi as Trump called both of them women with low IQ. Maxine has been a staunch critic of President Trump. She drew criticism due to her comment asking for the public harassment of Trump officials. It is this criticism that led her to be featured in Donald Trump’s early morning twitter tirades. Rep. Maxine’s comment came after reports that several Presidential aides were publicly harassed while going to restaurants. 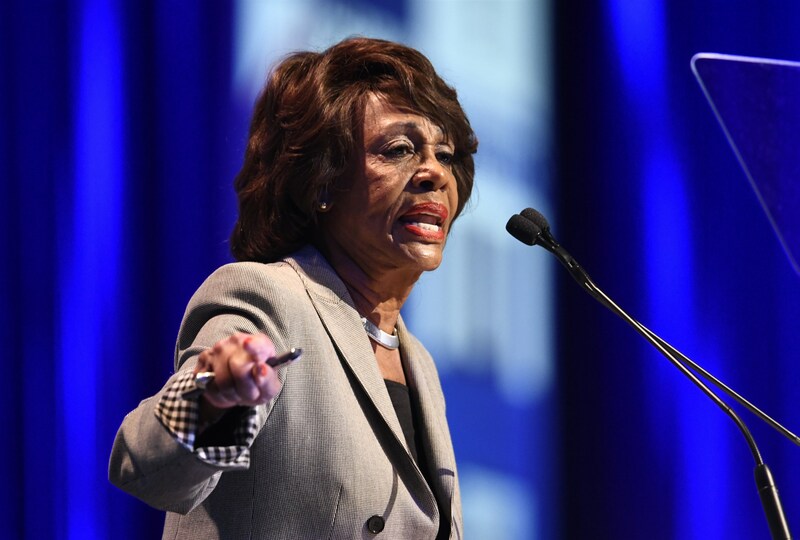 “If you see anybody from that Cabinet in a restaurant, in a department store, at a gasoline station, you get out and you create a crowd and you push back on them, and you tell them they’re not welcome anymore, anywhere,” Waters had said. Department of Homeland Security Secretary Kirstjen Nielsen and senior adviser to the president Stephen Miller were both confronted by protesters while eating at Mexican restaurants. Similarly, in a similar incident, White House Press Secretary Sarah Sanders was asked to leave the Red Hen restaurant in Lexington, Va.
Ms. Waters comment drew serious criticism from Republicans. Today’s tweet also carried a subtle warning. “Be careful what you wish for Max!” said the last line of the tweet. It could easily be construed as a warning that similar incidents can happen to both Maxine Waters and other Democrat officials.